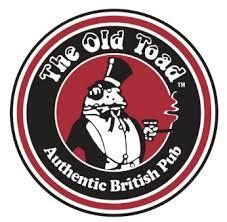 The Old Toad is nothing short of your traditional British local. From the staff to the food and ales, everything is purely authentic. Even the bar itself was imported from Great Britain. Truly “a pub from over there, over here”. 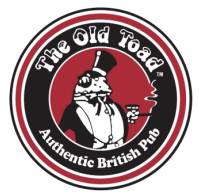 Since its establishment in 1990, The Old Toad has built a reputation for providing friendly, excellent service. We offer a wide range of beer - from real ales, imports, and local favorites, to our very own custom brews. In addition, we serve traditional British meals as well as contemporary pub grub (including vegetarian meals). This is a relaxed atmosphere, there are no televisions or blaring jukeboxes here. So please, come in and see what all the fuss is about we promise, you’ll be glad you did.